Redneck trailer loading - The wrong way of doing it! 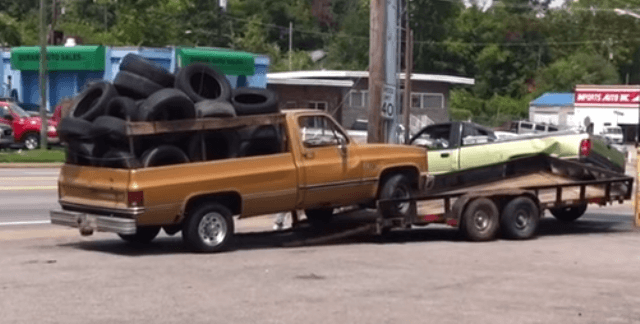 Redneck trailer loading – The wrong way of doing it! 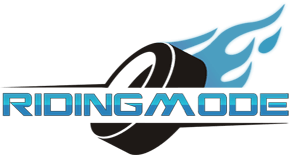 Redneck trailer loading – it’s not as simple as we thought. At least, not for these guys. Most of us have that one friend that doesn’t quite cope with the hooking up and pretty much everything connected to trailers. Unfortunately, these guys here are one of them. The goal here is downright simple. Drive the Chevrolet pickup on the trailer that’s being towed by a Dodge pickup and continue on your way. All you have to do is take into consideration some precautions’ it’s not much big of a deal isn’t it? However, these guys seem like they didn’t really take any precautions. AT ALL. For all we can see, that Dodge pickup even has hard time staying stationery. The incident definitely could have caused a good amount of damage. We’re happy to say that they didn’t make in into traffic. Redneck trailer loading video below! Funny Police car chase of a very crazy woman behind the wheel! VeilSide RX7 for sale – as Fast and Furious as it gets! Guy makes engine sounds like all of us but much better, MUST SEE! Insane Motorbike Street Drifting! 2 Suzuki Hayabusa bikes 240HP each! The Zombie Hunter spitting flames at Pigeon Forge Road Run 2016!